What is the number one side dish for most grilling meals? 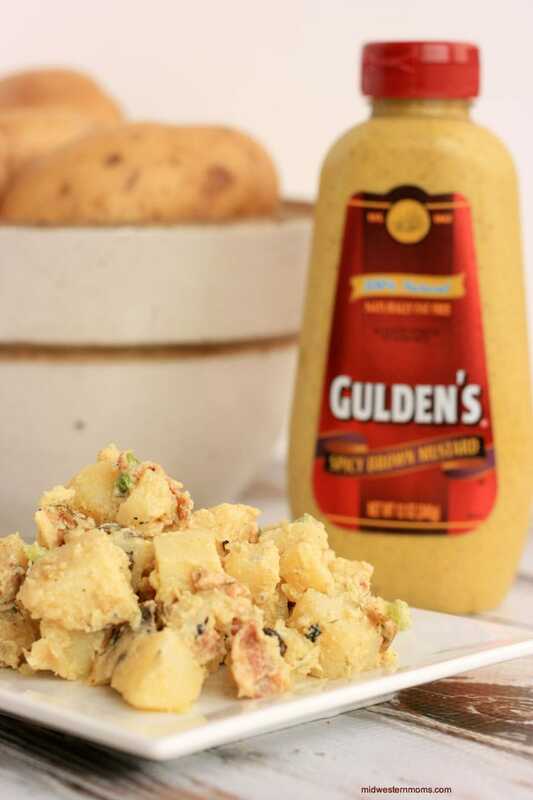 In my book, potato salad is number one, and a Midwestern staple dish. We can’t believe how quickly Memorial Day and grilling season has snuck up on us! Anytime we have a family meal and there is food being grilled, we always have potato salad. 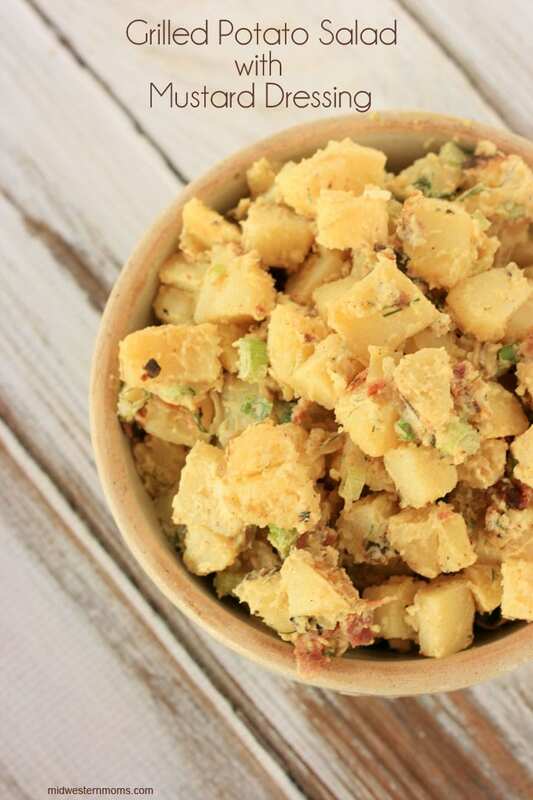 I have to admit that I have never tried making my own potato salad before so I was extra excited about trying out Chef Billy Parisi’s recipe. 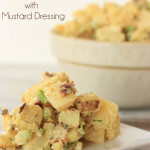 Since we have been in a grilling mood (check out the recipe for the Egg, Sausage and Queso Breakfast Sandwich), it made sense to try the grilled potato salad recipe. We already had the coals heated up so we might as well use them. In the past, I have grilled chunks of potatoes but never whole potatoes. Make sure you have a good pair of tongs. The skins of the potatoes are likely to peel off when you try to rotate them. One thing I tried with this recipe was to cook the bacon directly on the grill. For me, that resulted in really burnt not very good tasting bacon. So, I grilled up the bacon in an iron skillet over the coals, which gave the bacon flavor and without the grease flare ups. If you enjoy sweet onions, you can add half an onion to this recipe. Just add a bit of oil to your thick slices and grill them up. I, however, am not a fan so I did not add them to this recipe. A perfect side dish to any grilled meat. The perfect side dish to your grilled meal! Get your charcoal started so it will be nice and hot by the time you are ready to cook the potatoes. In a large pot, boil your potatoes for about 10 minutes (or just before they are al dente). Strain your potatoes and add them to a large bowl and toss with the olive oil. 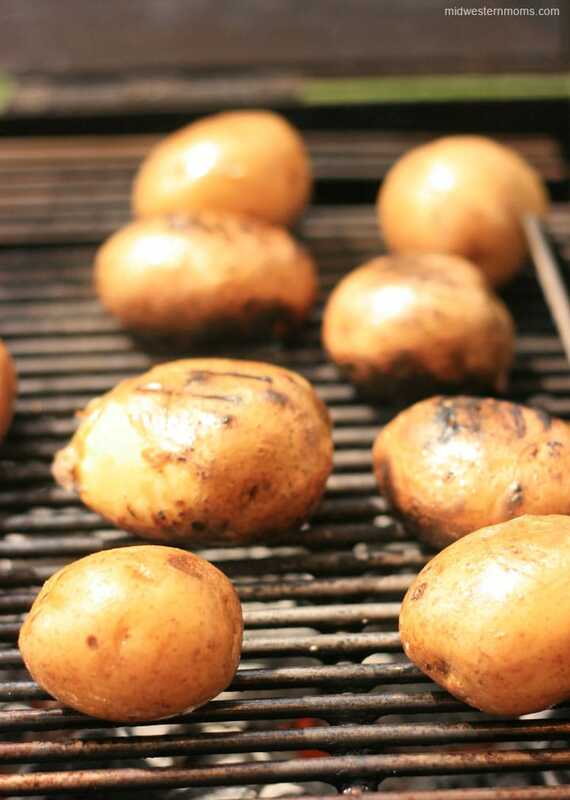 Add the potatoes to your grill to slightly char and to cook through. Once the potatoes are done, place them in the refrigerator to chill. In your iron skillet, cook your bacon on the grill. Once the bacon is done, remove and chop. When the potatoes are cooled, chop them into bite-size chunks. 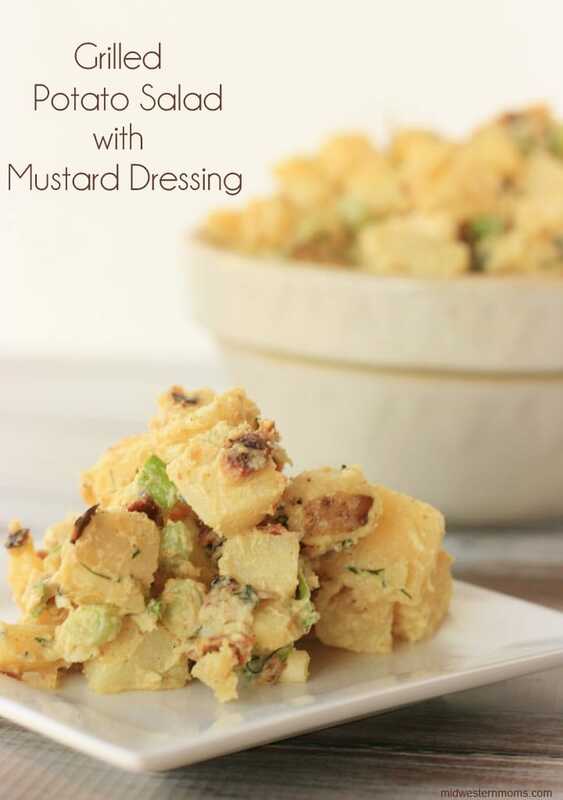 In a large bowl, whisk together the mayonnaise, mustard, and apple cider vinegar until combined. Add in the potato chunks, bacon, dill, green onions and toss. What is your favorite side dish to serve with your grilled meal? I can already see this at my next barbecue! Yum! I bet the grilled flavor is really good on the potatoes! We will have to try this for our next BBQ. This looks delicious. I’m pinning so we can try this! This loos so yummy. Perfect for summer!